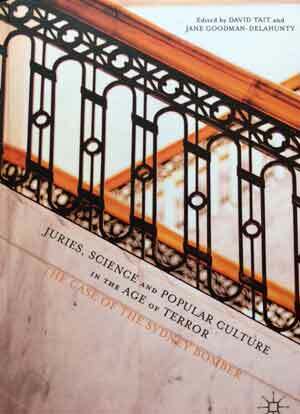 One of the key issues that this book explores is whether juries can be fair in terrorism trial – wherein emotions are high, fear is in the air and the risk of intimidation is present. A second major theme was the impact on jurors of visual evidence in the form of an interactive virtual environment. Were jurors swayed by high-tech evidence and if so, did this push them towards conviction? A final theme concerned the battle of the experts, how did jurors respond to scientific expert witnesses who presented evidence for the prosecution or challenged it for the defence? Terrorist fears have led to harsh counter-terrorism laws that may threaten individual liberties, and undermine the right to a fair trial. This chapter reviews how these harsh laws have developed, illustrated brilliantly by the famous cartoonist Michael Leunig. Most people find gruesome images compelling. This chapter argues that showing jurors images such as beheading or other atrocities add little relevant information, but creates disgust and anger, undermining right to a fair trial. Mock jurors were fairly similar to regular jurors. Demographic differences did not account for most of the variation in attitude recorded. This chapter reviews the estimated impacts of the experimental intervention. Differences were generally small. Jurors who were classified as visual learners were more influenced by information presented in visual form than jurors who self-identified as verbal learners. Most previous studies suggested the CSI effect was largely a fiction. In the first study in this project we found an effect on conviction rates, with more convictions from jurors most conditioned by CSI watching than from others. In the second study regular CSI viewers said they found interactive visual evidence more “important” than those who were not regular CSI viewers. Jurors used commonsense knowledge – wisdom grounded in their own life experiences – to interpret and make sense of the evidence presented at the trial. When jurors came up with their own theories about what happened these were subjected to a process of careful testing by fellow jurors. is a Research Professor at Charles Sturt University, Australia, and a General Member of the New South Wales Civil and Administrative Tribunal. Her recent books include Legal Psychology in Australia (2015), Expert Evidence and Criminal Jury Trials (2016), and Trends in Legal Advocacy: Interviews with Leading Prosecutors and Defence Lawyers Around the Globe (2017). David Tait is a Professor of Justice Research at Western Sydney University, Australia, and an Adjunct Professor at Telecom Paristech, France. His research focuses on how to make justice environments and processes more humane. His recent work includes Fortress or Sanctuary: Enhancing Court Safety by Managing People, Places and Processes (2014) and reviews of the prejudicial effect of the dock in criminal trials.